Doors open at 12 o’clock. Enter the main door, and go downstairs towards the cafe area, meeting room 1 is just off of this. There is a lift to use should you prefer to use it. 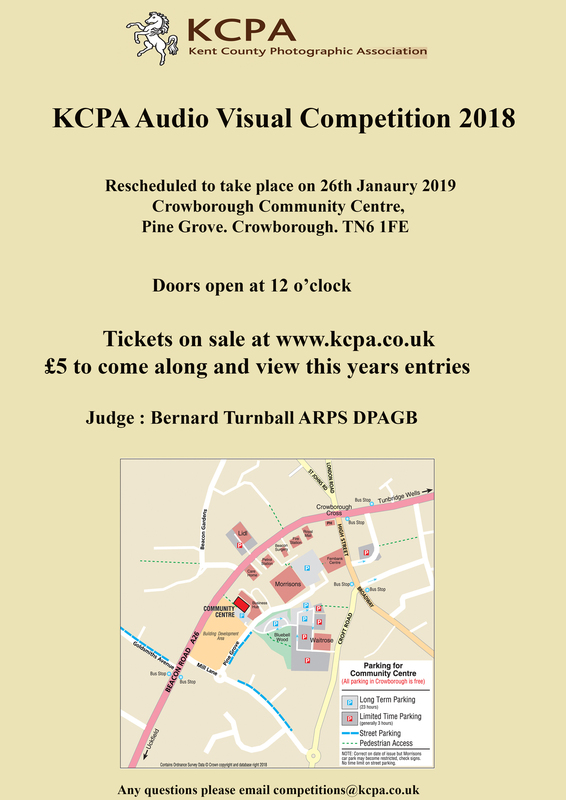 The event looks set to be a good opportunity for viewers to come along and see the work of this year’s entrants, plus a chance to mix with other club members. Hopefully it will inspire you to enter the 2019 competition in October 2019. If you havent already paid, non-participants will be charged £5.00 to attend the event. 16.25 – 16.45 Collection and counting of Audience Award slips. Draw for the Raffle.